Hi guys! I got a few new items over the holidays, nothing too big but I love them so much!! ^^"
sneak peek of 1 of the items! Just a small reminder that my auctions end in less than 24 hours! 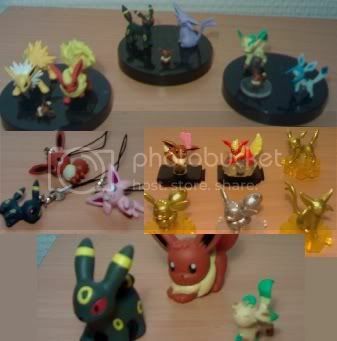 There are many nice Eeveelution items available, including Jolteon and Flareon Zukan pieces, as well as a Leafeon Chupa figure! Click the preview pic to go to the auction! Ok so i've been passivly buyingTCG packs .... just Black and white and emrging powers, and a quick re-evaluation indicates that i'm actually pretty close to completing these 2 sets. so i figured i'd post a list of what i need and what i have (just extra rares) in the hopes someone might want to make a trade. Hey guys! Sorry to say it but we lost this GA. We still had a little less than $200 to raise and bidding was kind of slow. :( We'll get em' next time! 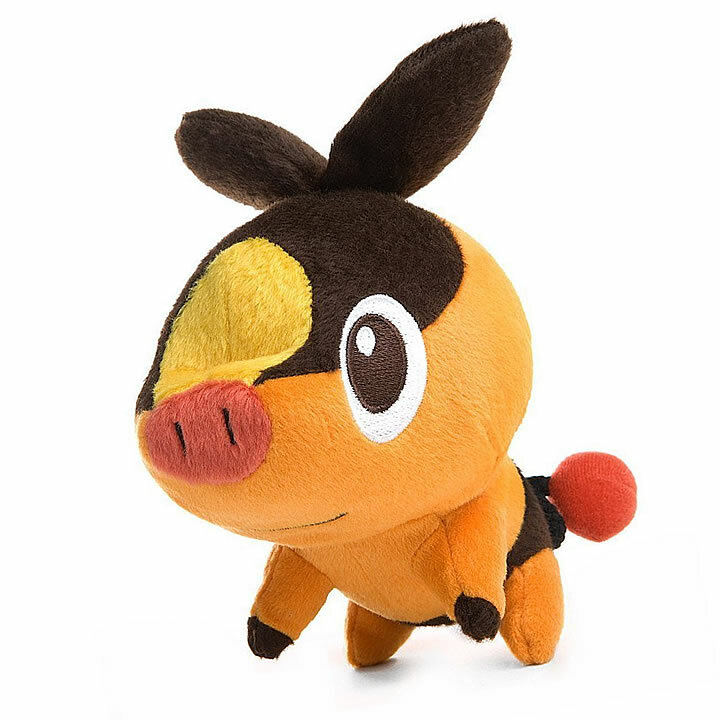 I'm looking for some big yet cheap plushies! New items from the I Love Pikachu series. 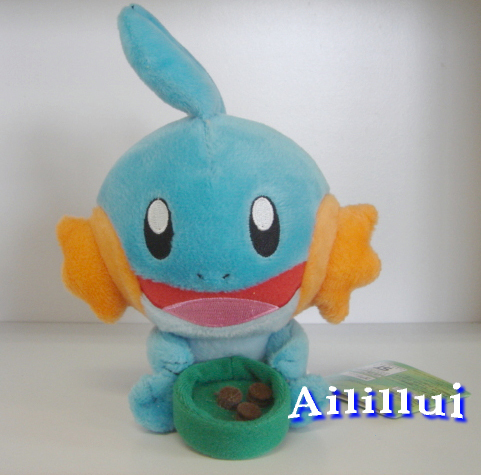 Ball-Chain Puff Plush. Each one is $14 shipped to US address. 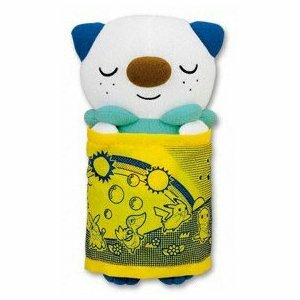 Super DX (about 14" from ear to bottom) plush, $30 shipped to US. 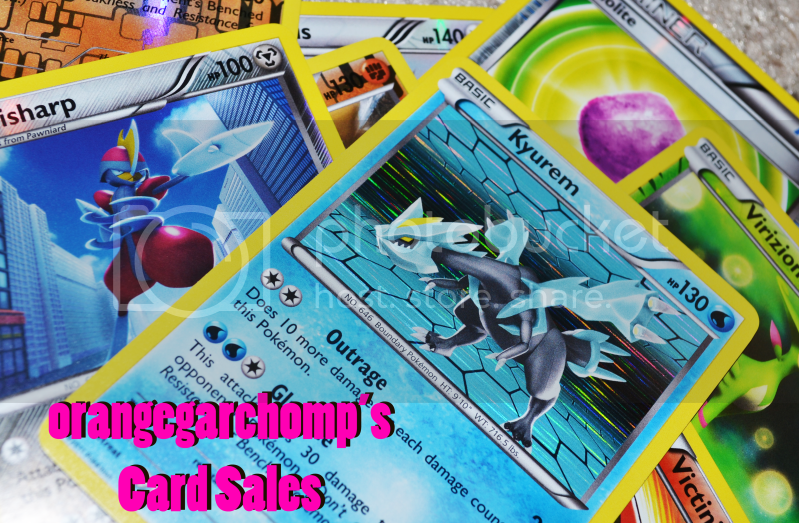 Rufflet is $18 shipped to US. Lilligant is $16.50 shipped. Everything else is $15 shipped. And here is the general 6" release. 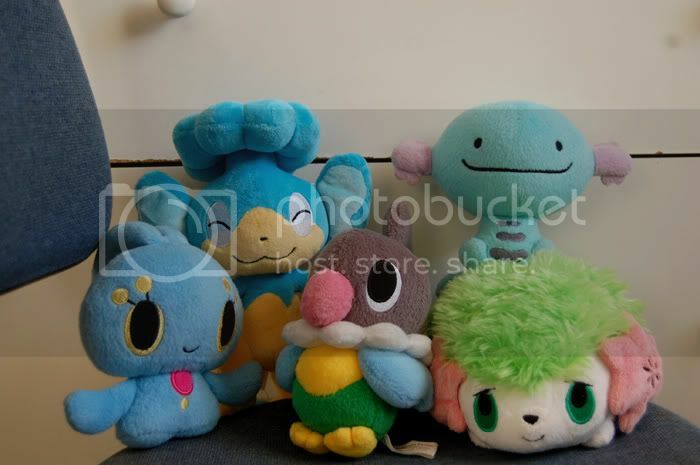 Scraggy, Dwebble and Victini are $22 each shipped (very limited quantity). The starter re-releases are $18 shipped to US. The rest are $20 shipped. Over the weekend I picked up another hard cover/stylus set (Reshiram this time). You can tell someone put some thought into the design here. Happy New Year and thank you for looking! This could turn out a bit controversial, and I'll delete this post if things get out of hand, but I'm genuinely curious: what is the LEAST favorite thing in your collection, and why? they were so gigantic, a girl at the center saw me trying to carry them and helped me...ALL THE WAY TO MY HOUSE. more on that story later.... time to pay up please! 01. pogaf x2 115$ SENT. 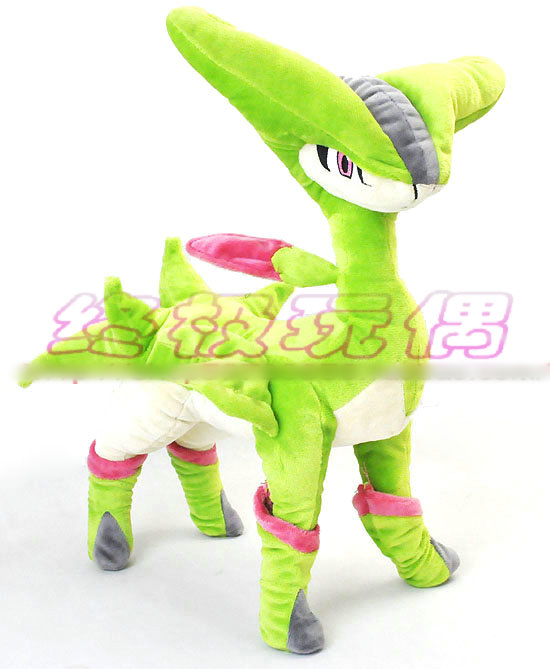 04. tailglow (combine with charms) 150$ SENT. 05. pacificpikachu (combine with #5470) 150$ SENT. 01. roxiired (combine with #5469) 60$ SENT. 09. noxxbunny (combine with #5485) 60$ SENT. For anyone wondering about the canvas GA for the last two weeks the tracking has been saying Origin Post is Preparing Shipment so I don't know if its in the US or stuck in Japan,let me know if you would like the tracking number to track it yourself :). I think this is my first real collection update. I took these photos back in August but since I'm away for months at a time (won't be back in the states again until April), I don't have as much time as I'd like to spend working with my collection. Still, I think these pictures turned out okay. :D They do not by all means incorporate everything I have found so far but I collect a lot of grass types (mostly the shrooms) and I think they fit the theme I was going for back then pretty well. Popping in to say I moved my permanent sales post back to the community for easier organisation. So here's some more weeding sales, click on the image to be directed. I have some things for sale for you! It's THAT time of the month guys, momma needs more cacti and merch in her life (that is actually true but there's always other life stuff that needs to be paid, but merch IS my main reason XD). I will open slots, and take as many as I can. I will also be auctioning my first set of Petit Legends (Kanto) and Petit Scolipede. Both the set and scolipede are limited editions as I won't remake them (I will make shiny versions in the future, but they will be also auctioned). Hello everyone, this is my first post here. The rules are so long and extensive that I missed important parts about selling permission when reading through. Oops! I wasn't aware that inquiries about prices weren't allowed until you have sales permission! I'm kinda new, but I've just never posted. I've commented a bit and bought a couple things as well. :) Anyway, here's a little look into my card collection. I recently came across these, and I had no idea I had them. I'd post more, but I moved into a new place recently and a lot of my stuff isn't here with me at the moment. The hoodie itself was bought at Old Navy, and is a 'techno hoodie', which is a hoodie with built in earbuds! And the Pikachu additions were put on by my boyfriends step-mom. She's quite crafty and makes all kinds of things. Anyway, I love it. :D It's super cozy. Comic about a double grail get. So eevee_trainer is hard at work taking pictures for her post-holiday collection update. In the meantime, I put together this comic which tells the tale of the night of the double grail get. I did it as a rage comic, if you haven't heard of that style just google it. Since a lot of folks often scour the interwebs in search of rare merch, I thought this comic would illustrate the oh so fleeting 'moment of glory'. PS, if this is too off topic I can just save it for her post later this week. 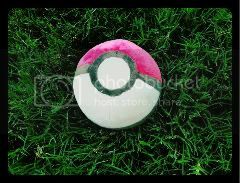 Ok with a recent bootie seller post from today I'm looking at my pokedoll and wondering if she is a fake. I bought her from Pokelots*, and her name was recently added onto the list. If the merch is fake I would like to know so I may get my money back. Thank you so much! EDIT: Ok so my fears have been settled. I apologize if I scared anyone!!! So pokelots* sells SOME booties but not all. Thank you to everyone who has answered!! Hey guys, just to let you know I will be resuming my Banpresto Pickups. 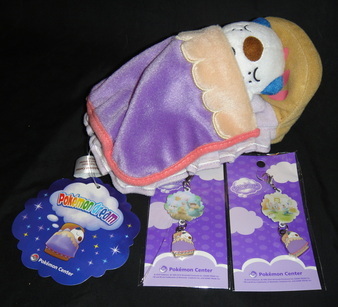 They will be open for one week until the 9th of Jan. And there are a lot of neat items being opened up for pre-order. 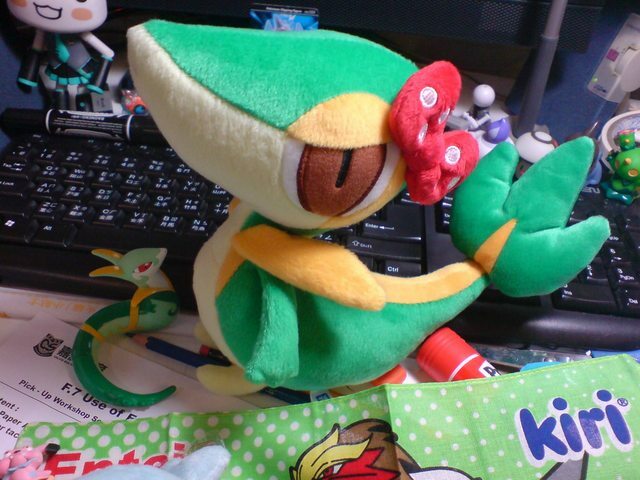 This includes DX Plushies, I love Pikachu merchandise and more MPC Plushies. In summary..
For those Pikachu Collectors, I've only just found out, but there are actually 3 versions of the I <3 pikachu keychain plush. One was released earlier in 2011, and the picture above (next to the cryogonal MPC picture) is a re-release (which will be arriving in Feb). The last version would be the one labelled OT-02 with a puff ball, so yes they are different and I've added them to my pre-order list. MOST importantly, please read my rules before you pre-order as I have edited it to make sure buyers get the best satisfaction possible. Well that's all from me.